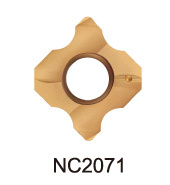 - Insert radius: RC1.0mm ~ RC3.0mm, various corner radius inserts can fit on same holder. - Cost saving! 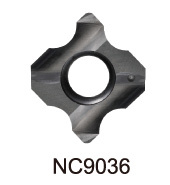 Utilize standard NC Spot Drill holder, also can fit with CT insert ( suitable for spotting, chamfering, grooving and engraving ) , PR insert (center hole similar to DIN 332 Form R), WSP insert ( combined spotting and chamfering 145°+90° ) and corner rounging insert.